Renegade X is an fan-made reimagining of C&C: Renegade—the Command & Conquer FPS that seemingly everyone liked more than I did. 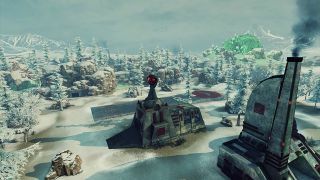 A new trailer has emerged alongside the game's Open Beta #4 update, which adds new maps, modding tools and an in-game jukebox, among other changes. If you'd like to give it a go, you can download Renegade X here, for free.